The School Resource Officer (SRO) Program was established in 2013 following the shooting at Sandy Hook Elementary School in Newton, Connecticut. The School Resource Officer Program was developed to increase patrols and security in the County's seven Local School Districts. The SRO Deputies are dedicated to working with each district's administration, faculty, and staff to improve security. Deputy Darlene Grogg has been a long time resident of Clark County. She graduated from Tecumseh and Clark County Joint Vocational School. 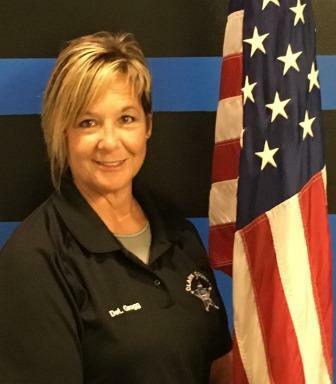 Darlene obtained her Peace Officer Training Certificate in 1997 from Clark State Community College, while working for the Clark County Juvenile Court. Deputy Grogg has been employed with the Clark County Sheriff’s Office for twenty years. During her tenure as a deputy, she has been assigned to the Jail Division, Community Oriented Policing, Uniform Road Patrol, Criminal Investigations, Drug Investigations and the R.A.N.G.E (Regional Area Narcotics and Gun Enforcement) Task Force. Deputy Grogg has been trained in Crisis Intervention and Forensic Interviewing. As a detective in Criminal Investigations she served as a member of the Child Advocacy Center’s Multidisciplinary Team. She is currently assigned as the School Resource Officer for Northwestern Local School District. Deputy John A. Loney has lived in Clark County his entire life. He is a graduate of Catholic Central High School. Deputy Loney obtained his degree in Criminal Justice from Clark State Community College. He also obtained his Ohio peace officer training from Clark state. Deputy Loney began his career with the Sheriff’s Office in 2002. During his career at the Sheriff’s Office he has been assigned to the Jail Division, Uniform Road Patrol and the City of New Carlisle. He is a field training officer and a member of the crisis intervention team. Deputy Loney is currently assigned as a School Resource Officer for the Tecumseh Local School District. Deputy Loney has achieved numerous awards during his career which include the Sheriff’s Award, Meritorious service, Exceptional service, Academic achievement and perfect attendance. In 2016 he was awarded the Sons of the American Revolution Accommodation Medal. Deputy Pacine has been a lifetime resident of Clark County. He is a 2001 graduate of Shawnee High School and JVS (now known as CTC). After graduating high school, Deputy Pacine attended Clark State Community College pursuing a degree in criminal justice. 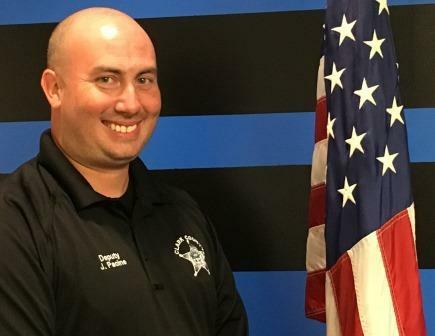 In 2003 he received his peace officer training certificate and began working as a peace officer for departments such as North Hampton, German Township and the Clark State Campus Police department. 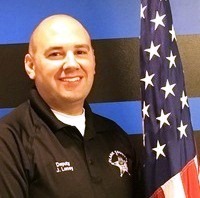 Deputy Pacine began his career with the Clark County Sheriff’s Office in 2006. During his employment at the Sheriff’s Office he has been assigned to the Jail Division and Uniform Road Patrol. Deputy Pacine is currently assigned as a School Resource Officer for the Clark Shawnee Local School District. Deputy Pacine is a certified Field Training Officer and a member of the crisis intervention team. He was recognized by the State of Ohio House of Representatives in 2015 for saving the life of an inmate who had attempted suicide.